It is infamously difficult to get and keep the attention of teenage students. If you’re struggling to get your students excited, check out these 10 tips. There’s a valid reason for the famous, “Bueller, Bueller, …Bueller,” quote is used as often as it is. The reason: teenagers are not easy to entertain, let alone engage. 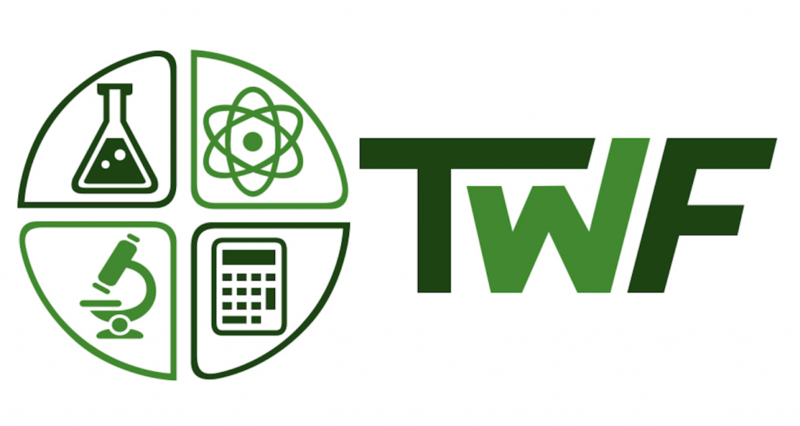 If you’re a science teacher struggling to get your students excited about a topic, we’ve got your back with 10 great tips for peaking and retaining the interest of your teenage students. When you’re 17 and the thing foremost on your mind is whether you’ll get asked to Homecoming, you’re not likely to be enthralled with dynamic homeostasis. BUT, if your teacher is smart, they’ll somehow make science about you. There’s no better way to capture a teenager’s attention than by relating your subject matter to their every day lives. Show them how the topic relates to their future, their interactions with others, what it can teach them about human life and behaviors, or how they can use science to solve every day problems. Suddenly your class will not only be fascinating to them, it will be essential to them. I’ve found that readings about current, interesting topics that relate to the content are an excellent way to provide applicability to your students. I’ve created a lot of readings over the years and would love to send one to you. 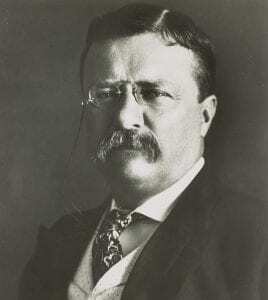 If you head to my store – https://teachwithfergy.com/tpt and click on Reading Comprehension Activities, you’ll see a list of the readings I’ve already created. Choose one you’d like me to send you and I will. Pediatricians often recommend parents teach their small children through play. News flash: Even 18-year-olds are still considered children and still benefit from the mental and physical connections that are made when learning through play. Not to mention, (and at the risk of stating the obvious), turning your AP biology lesson into a game or scavenger hunt is simply put, more fun. Think about it, teenage students are far more likely to pay attention if you’ve got them playing a fun game to learn, than sitting still while you lecture. 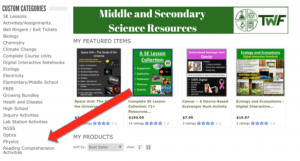 Two fun activities I do are my Digital Scavenger Hunts and Lab Station Activities. If you’d like to see what they’re all about, just click the topic below that relates to your classroom and you’ll get one of each for the subject you choose. When students feel they have partial ownership in their learning process or in what they are learning, they are more invested. Even how they are evaluated, etc. The more students feel their desires and ideas are valued, the more apt they will be to listen to what you have to teach them. How do you do it? Just ask. I’m sure there’s a project you already do that could easily be differentiated based on topic or type of project. Give them a chance, you might be surprised what they come up with. Unfortunately, not every teacher is a Ms. Frizzle with access to their own magic school bus. You may not be able to travel inside a baking cake, or large intestine, but even on a tight school budget, you can change up your classroom setting to help refresh student’s minds. Varying your classroom setting gives students an opportunity to think outside the box. This is an essential aspect when trying to grasp many scientific concepts. Even doing something as simple as taking class outside for the day, going on a walk around the school, or finding some local field trip, can do wonders for peaking student’s interests. Not to mention, you’ll get them moving. As a science teacher you know well, that more moving means more blood flow to the brain, and more blood flow to the brain means a more alert and interested study body. This can mean anything from having students act out how osmosis works, conduct an experiment, or taste a new food. Giving teenage students something to do, hold, eat, listen to, or create, forces them to pick their heads up off their desks. According to the Institute for Educational Advancement, letting students do hands-on learning will also improve their memory. Your class will not only be exciting and fascinating, but they’ll be more likely to remember it 30 years down the road if they use their hands. But, let’s be honest, lectures are rarely stimulating. Even if you do stick primarily to lectures, you can peak student interest by using various resources. Have the students teach each other! Whatever you decide, don’t stick to one thing all the time. All lecture and no variety makes class a dull experience. Truly effective teachers know each of their students. We mean more than just their names and seat assignments. What are you students interests, concerns, fears, or career aspirations? Use appropriate information about your students to better relate science to their personal needs. Sure, teenagers may act like they’re “too cool for school,” but deep inside they’re still kids at heart. Science jokes are among the cheesiest, and starting your class with one each day can create a general air of positivity and optimism. Here’s a list of my favorite. You could even consider having a class theme or motto to develop more positivity. Positive environments work better at opening students up and engaging them in learning. Cheesy science videos are also a great way to introduce a topic, start a class, or just break up a lesson. Teaching a complex process or formula? What better way to help students learn the difference between ATP and ADP, than by rhyming? Why do you think the ABCs are so easy for people to remember, hmmm? You can bet that teaching teenage students with music will ensure they stay captivated and remember what you taught them more readily. Check out the best science music video I’ve ever heard. It’s inspirational. When all else fails, (and with this list, we’d be surprised if it did), give them candy. Certainly, it’s a quick fix, but when you’ve got an especially hard class or stubborn student, little else may be as effective as throwing chocolate their way as a reward for participation. With the help of this list, you’re sure to be a pro at exciting your teenage students interests in no time. Don’t stop at being merely interesting. Check out my blog for more helpful classroom management hacks including everything from controlling cell phone use in class, to using technology to teach. 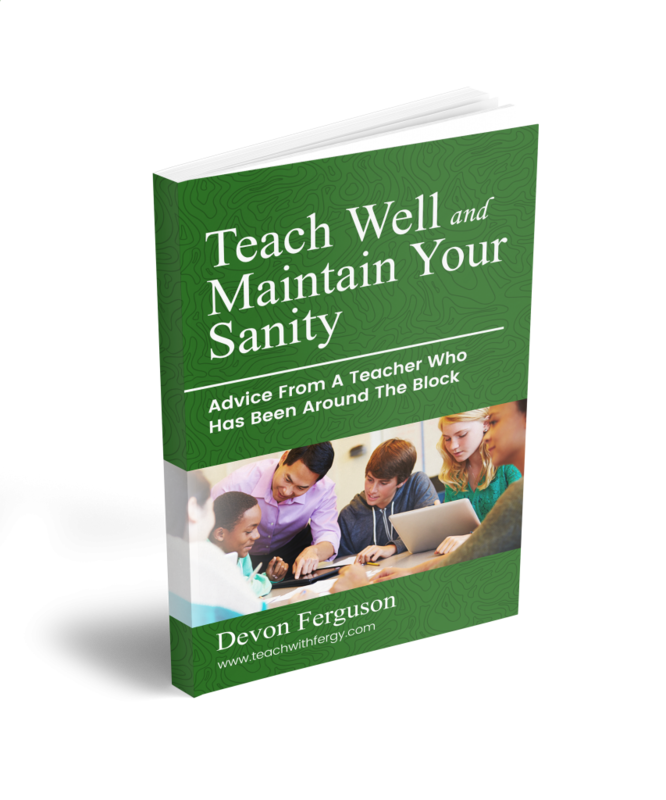 If you’d like, you can grab a free copy of my book – Teach Well and Maintain Your Sanity, by CLICKING HERE.